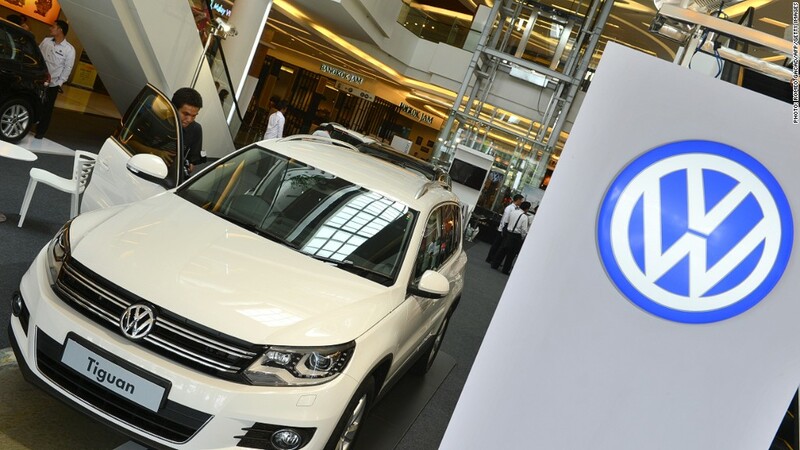 The costs of Volkswagen's diesel emissions scandal continue to soar. The German automaker set aside an additional €2.5 billion ($3 billion) on Friday to buy back cars in North America. That means the scandal has now cost the company $30 billion in total. Volkswagen (VLKAF) shares dropped sharply in Frankfurt, before recovering to trade less than 1% lower. It's the latest financial fallout from Volkswagen's bombshell admission in 2015 that it had rigged millions of diesel cars worldwide to cheat on emissions tests. A $15 billion settlement agreed last year with the U.S. requires Volkswagen to repurchase dirty diesel cars sold in the country, or give cash payouts to owners if they would prefer to have their vehicles fixed. Volkswagen, the world's largest automaker by sales, said the buyback scheme was "proving to be far more technically complex and time consuming" than expected. The company is still struggling to escape the shadow cast by the diesel scandal. U.S. prosecutors allege that its engineers knew as far back as 2006 that the company's new 2.0 liter diesel engine would not be capable of complying with regulations. Volkswagen, which owns Audi, Porsche, Skoda and SEAT, resorted to cheating, exposing the industry to charges that dirty diesel engines are to blame for air pollution problems in Europe. Sales of diesel cars have slumped in Germany this year and foreign brands are taking market share from their German rivals. In some major German cities, calls to ban diesel cars entirely are gathering strength. The company said earlier this month that it will spend more than €50 billion ($60 billion) on battery cells as it pushes to electrify all 300 models in its range by 2030.